This particular plugin is all about customizations. 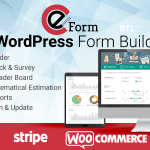 It allows the webmaster to create gorgeous looking and properly functioning surveys which users can find interesting to go into. It is a premium product and it packs proper integration for the social media platforms. 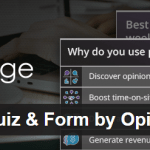 It can help you putt a poll online, associated with a redirection, or a quiz with mention of the correct answers, and a fully featured survey with chained questions. It can even let you conduct personality tests with proper scores at the end. It supports charts and other graphic elements to ensure everything is interactive and elegant. It packs unlimited customization and style options which are all powered by AJAX and Visual Builder. It packs a built-in rain and review system along with a progress bar below the on-going survey. 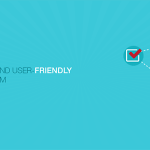 The plugin allows a user to create a profile and then every survey he/she takes is available in the special section, named participation details.